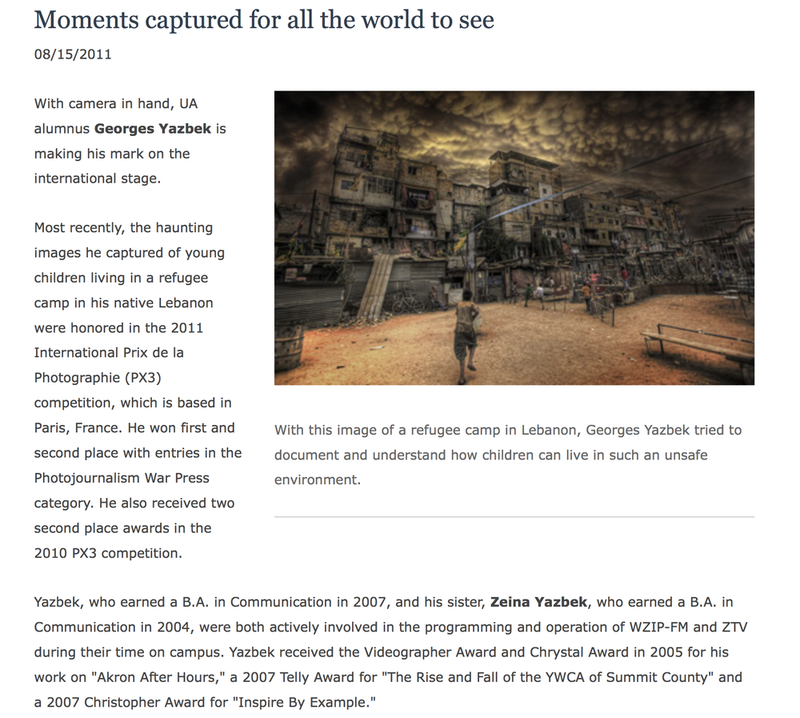 In September, one of Beirut most visited gallery “392rmeil393″ displayed the work of Georges Yazbek, a Lebanese photographer and documentary producer based in New York and Beirut. Under the title ” Moments Within”, the exhibition showcased raw photos of landscapes of Alaska as a location and background but also photos of people in their quest to find purpose and meaning in such context. The purpose is to spark a conversation between the picture and the public. The photographer spoke to the “New Eastern Politics” Arts and Culture contributor, Christiane Waked who during her visit to the exhibition, asked the photographer about his insights while taking the shots and converting them into a creative energy photography. C.W: Why you went to Alaska to take these pictures? G.Y: As a documentary producer, I always get the chance to travel to unique places. What specifically took me to Alaska was my work for Discovery Channel. 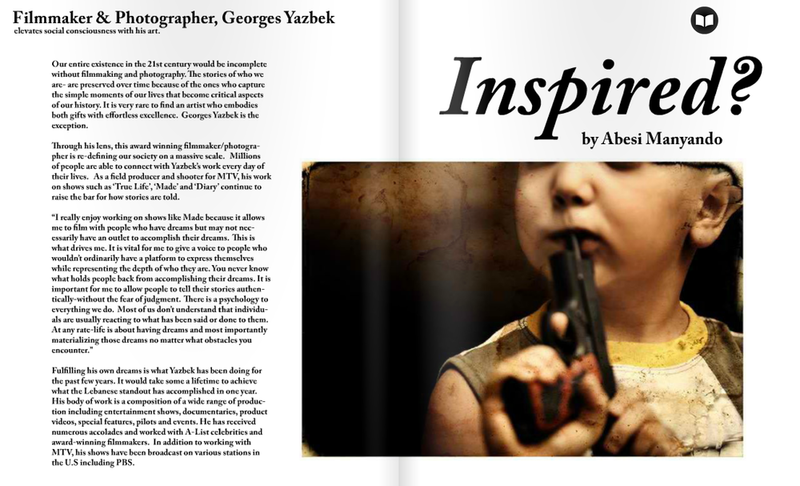 Photography is where I can channel self-expression – that is why I always have my camera with me. It has become my travel buddy, my liberator and the tool that continuously introduces a new dimension into any personal journey of mine. It is the two-way gateway through which I connect with the world on a deeper level while having the ability to translate it artistically. C.W: Among all the pictures that you have taken, which one is your favorite? Why? G.Y: You know Christiane, it is hard to pick one photo. Every picture has got a story, a personality, and a character. It is like we can’t ask a parent who is your favorite child. A parent can’t differentiate like that. Each kid has an independent and unique identity, a path, a spark that serves and complete the big picture. Same with the photographs in the series. They all have a purpose and story that serves the big picture. C.W: What makes the good picture stand out from the average? C.W: What is the message you want to give to the public through this exhibition? G.Y: “Moments within” addresses the theme of the relationships that we have with ourselves, others and the world. Its meaning originated from the very instance when one begins seeking to understand where he/she stands in as an individual and as part of a whole. Through exploring these captured stills, I wish for the person to really have a moment and ultimately look into their life’s purpose. When we look at the grandeur of the universe with all of its greatness, our presence seems minuscule. However, the moment we tap into our existence as one, we start locating our unique purpose, we value the shared love that we breathe in and send out with every breath – this right here, becomes the scale parameter. It is moments like this in life that unite us all – within and out. C.W: What inspires you the most? Do you believe that an ugly scenery can become a work of art? G.Y: What inspires me the most is people and their ability to make sense out of the world, how we translate the events and situations that happen around us and how we create meaning from them. Sometimes we draw empowering meanings that help us grow. Other times we come up with meanings that will leave us empty. A work of art has nothing to do with ugly and beautiful. It is about impact. An artist’s ability to reflect on the world thereby giving it a unique perspective that stirs a new thought or a unique emotion in others. C.W: Besides Beirut and New York are there any particular places where you like to display your work? G.Y: As a photographer from Beirut I wanted to have my first exhibition in my home city. Moments Within was held at the 392Rmeil393 gallery in Gemayze. My next exhibition will be in December 2017 at the French Institute in Beirut as well. Now that I have exhibited this series in Lebanon, I would love to display it in other countries such as the UAE, in art galleries like New York University Abu Dhabi, The Empty Quarter or Artspace. I would absolutely love to take the series to New York – where I also reside – and then finally to Alaska. C.W: What do you think about the art scene in the Middle East? G.Y: There is a ton of talented artists in Lebanon and the Middle East region. It is so amazing. Self-expression is so valuable and adding art to it makes the message reach beyond and above. C.W: Finally a message why art is still important in this century? G.Y: For centuries and more to come, art will remain to be the history keeper. It is the story of us; an illustration of our place on this earth and life with all of its forms.